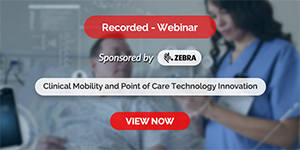 This comprehensive, practice-oriented text illustrates how healthcare organizations can gain a competitive edge through superior operations and demonstrates how to achieve them. Underscoring the importance of a strategic perspective, the book describes how to attain excellence in the four competitive priorities: quality, cost, delivery, and flexibility. The competitive priorities are interrelated, with excellent quality laying the foundation for performance in the other competitive priorities, and with targeted improvement initiatives having synergistic effects. The text stresses the benefits of aligning the entire operations system within the parameters of a business strategy. It equips students with a conceptual mental model of healthcare operations in which all concepts and tools fit together logically. 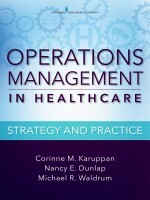 With a hands-on approach, the book clearly demonstrates the how-to’s of effectively managing a healthcare organization. It describes how to negotiate the different perspectives of clinicians and administrators by offering a common platform for building competitive advantage. To bring the cultural context of a healthcare organization to life, the book engages students with a series of short vignettes of a fictitious healthcare organization as it strives to achieve the status of a highly reliable organization. Integrated throughout are a variety of tools and quantitative techniques with step-by-step instructions to assist in problem solving and process improvements. Also included are mind maps linking competitive priorities and concepts, quick-reference icons, dashboards displaying measurement and process tracking, and boxed features. Several project ideas, team assignments, and creative thinking exercises are proposed. A comprehensive Instructor Packet and online tutorials further enhance the book’s outstanding value.